The press watchdog is set to publish new guidance for journalists on the reporting of Islam and Muslims. The Independent Press Standards Organisation says it has produced the guidelines to help reporters covering what it has called a “sensitive area”. IPSO says it will ensure that the guidance, when it is published later this year, does not impinge on journalists’ “right to criticise, challenge or stimulate debate”. The subject is one of five “priority areas” identified by the watchdog which it plans to address in 2019 as part of its standards and monitoring work. 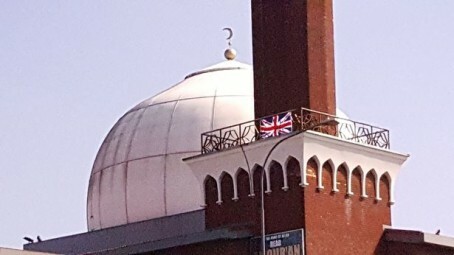 In a blog announcing the priorities, IPSO head of standards Charlotte Urwin wrote: “In October 2018, we began working towards producing guidance for journalists on the reporting of Islam and Muslims in the UK, an area of broad political and social concern. “The guidance will help journalists to report on a sensitive area, whilst also ensuring that it does not impinge their right to criticise, challenge or stimulate debate. “We have established an informal working group to help us draft the guidance, bringing together academics who have research experience in relation to Islam and Muslims in the UK and representatives of organisations interested in the coverage of Islam. We will also be engaging widely with journalists and editors, as well as other interested groups or individuals. Charlotte added IPSO would also be developing guidance on the reporting of major incidents, domestic violence and court cases, as well as continuing a media literacy programme designed to help members of the public understand the organisation’s work.